What's the best place in India to see tigers in the wild? With the 2014 census counting 61 tigers, Ranthambore's right up there. Click here for a tour. The Ranthambore National Park located near Sawai Madhopur, 165 km from Jaipur forms a vital link in the Project Tiger initiative. It's spread over 392 square kilometres, with a fort dramatically perched atop a hill overlooking the jungle. 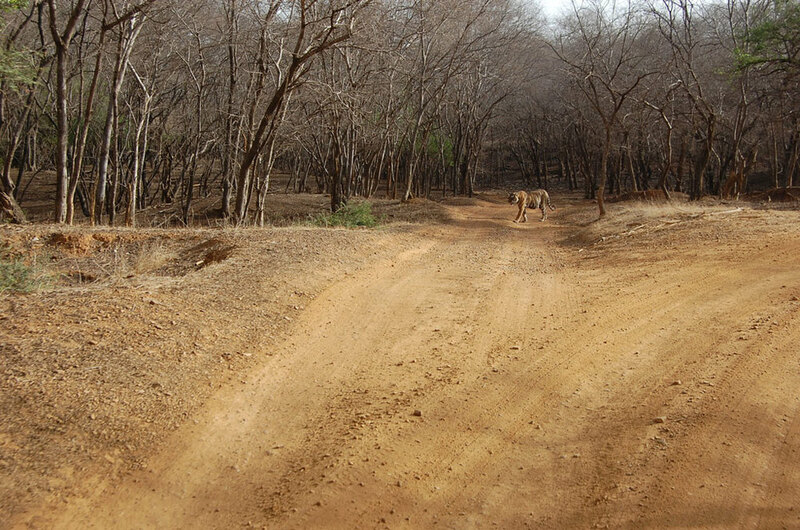 Ranthambore is famous for its plentiful tiger sightings. And the picturesque lake makes this destination a photographer's dream. Location: Sawai Madhopur, Rajasthan. The nearest airport is Jaipur (150 km). Prominent fauna: Lots of tigers, besides sloth bear, leopards, jackals, jungle cats, hyenas, antelopes, deer, marsh crocodiles. Best time to visit: October to June. Closed from July to September. While May and June are pretty hot, the increasing scarcity of water as summer approaches makes wildlife sighting easier as the animals flock to the waterholes. 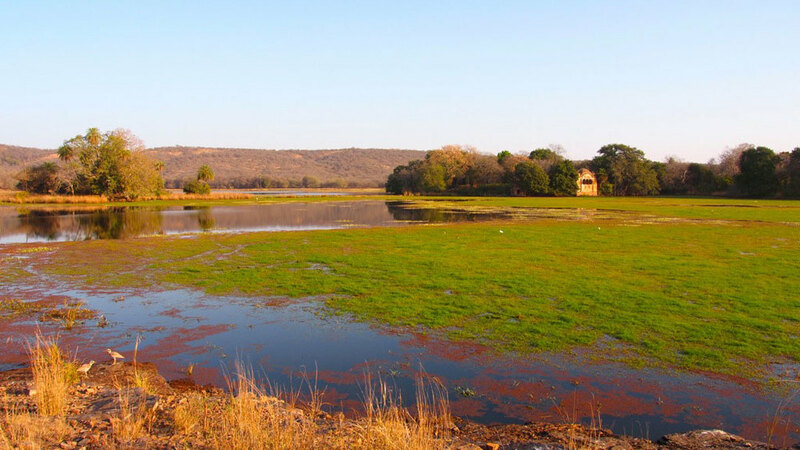 Destination Guide: Ranthambore is an oasis in the centre of India's popular destination, Rajasthan. This sanctuary was developed under Project Tiger, to preserve the tiger in its natural habitat. Today, there are of course many other animals that have also made Ranthambore their home. The dry deciduous forest houses nearly 550 species of flowering plants and boasts a large variety of bird life- about 264 species. It also has India's second largest banyan tree. The fort here was built in the 10th century. Perched 700 feet up on a hill, it looms majestically over the forest. Take it from us- visiting Ranthambore is a truly unique experience, one you're not going to forget. And the chances of spotting a tiger here are very good. Accommodation: Depending on your budget and preferences, you can stay at the Ranthambore Bagh, the Dev Vilas Resort, the Tiger Villa or Hotel Sherbagh. Note: Ranthambore can be visited from Agra and Jaipur by road. You could combine it with your Golden Triangle tour and make it your fourth golden destination! 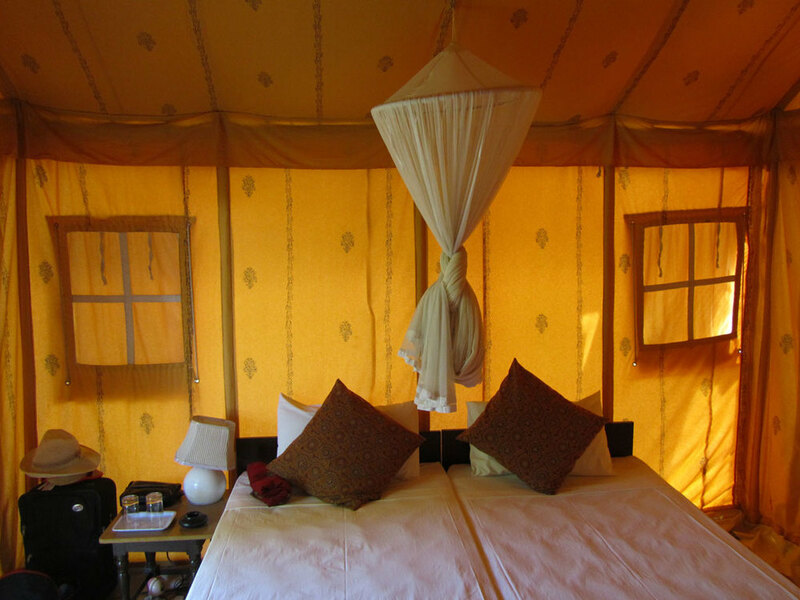 Ranthambore also features in our 12 night Rajasthan Rover itinerary.